In addition to the Carlsen Center Presents, we invite you to take advantage of these cultural opportunities on the Johnson County Community College campus. The 41,000-square-foot Nerman Museum presents major, cutting-edge contemporary exhibitions and showcases the museum’s celebrated Oppenheimer Collection. Since opening in October 2007, the museum has been host to hundreds of thousands of visitors. 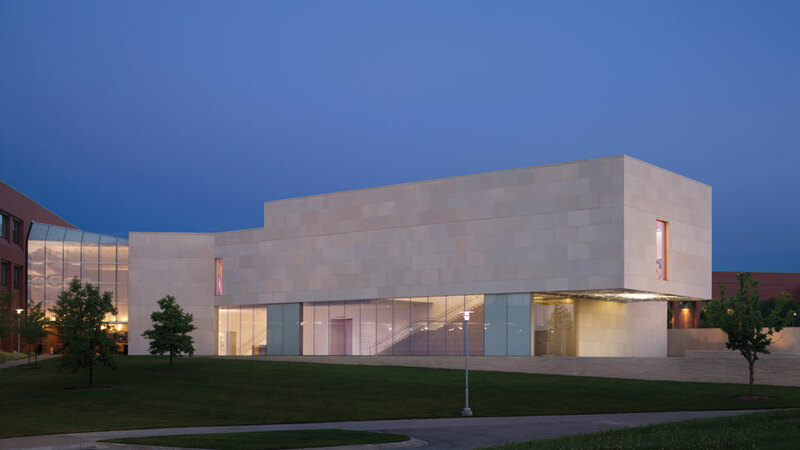 It features 10 major galleries for the permanent collection and temporary exhibitions. Today, hundreds of works by international, national and regional artists are on view in the museum and throughout campus. The museum also offers education programs for visitors of all ages. Admission and parking are free. For hours and information, call 913-469-3000, or visit the museum website. Since 1989, the free Ruel Joyce and Jazz recital series have attracted the best musicians Kansas City has to offer to the Carlsen Center. Ruel Joyce recitals feature classical music at noon on Mondays in the small, intimate space of the 60-seat Recital Hall. On Tuesdays at noon, top-rated jazz musicians play in either the 400-seat Polsky Theatre or the Recital Hall. Seating is first-come, first seated. For a season lineup or information on either series, call 913-469-8500, ext. 3689. JCCC’s music and theatre department produces an annual season of plays, offering a variety of performance and technical opportunities for both students and community members. The season includes classic and contemporary works, musicals and children’s plays. All academic productions are free to the public and seating is on a first-come, first-seated basis. No tickets and no reservations are needed. For information and show times, call 913-469-3245.